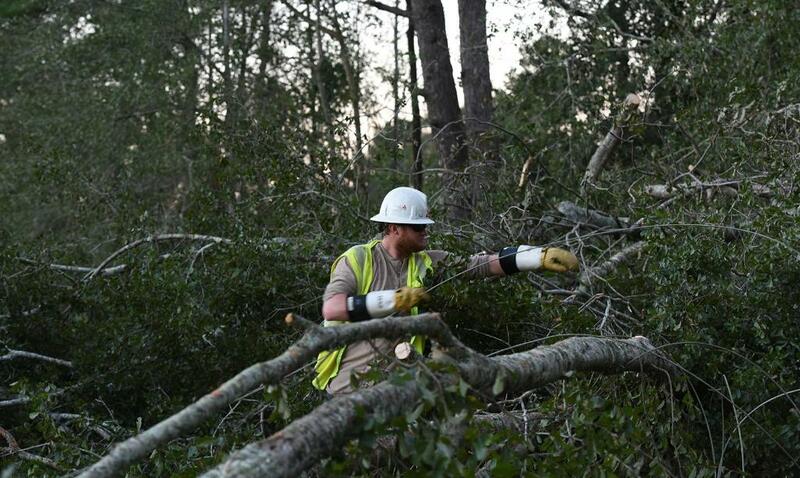 Alabama Power Co. photo shows employees clearing downed trees. “In the wake of Hurricane Michael, many Alabama landowners are finding that their forests have been devastated. Strike teams from the Alabama Forestry Commission (AFC) were immediately mobilized to assist with road clearing and debris removal. The agency is currently conducting aerial surveys to map and determine the vast amount of timber damaged by the storm across the Southeast area of the state. AFC foresters are also available to provide landowners with forest stand health assessments. Storm-damaged timber must be recovered in a timely manner if it is to be utilized, so please do not delay in surveying your property. If your timber property was located in the path of Hurricane Michael and sustained damage, please contact the Alabama Forestry Commission at (334) 260-6260 or send an email to the agency at hurricane.michael@forestry.alabama.gov.